Greenpeace, Une pièce en plus, Le marché de Rungis, La mairie de Courchevel, the French Chambers of Trade and Industry in China and Japan, various consulting firms trust MyCVthèque. Discover the advantages of this solution and the opinion of our clients! 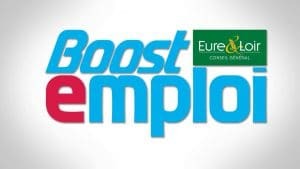 Since 1999, the departmental council of Eure-et-Loir supports the steps of people looking for work through its network of Espaces Cyber Emploi and more widely the Boostemploi system. Faced with the success of this scheme, in 2015 we wished to take a new step by professionalising our working tool and facilitating the matching of offers and applications. The MyCVthèque solution won our adhesion by its simplicity and its capacity to adapt to our needs. Prestadev has accompanied us efficiently throughout the implementation, and their teams have shown themselves to be very available. MyCVthèque allows our users, sometimes distant from the job market, to acquire more autonomy in the management of their applications online. In addition, the facilitators of our 25 Spaces Cyber Emploi have found in this solution an effective way to ensure the daily monitoring of their visitors, their contacts and their statistical activity. 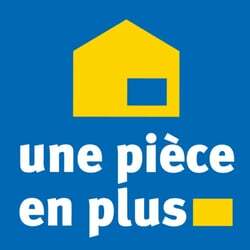 With this experience, the departmental council of Eure-et-Loir once again solicited Prestadev in 2016 to enrich its offer for trainees this time. Since 1990, the French Chamber of Industry in Japan provides its subscribers (500 French and Japanese companies) with a service of recruitment support. “…the flexibility and adaptability of MyCVtheque teams have helped us to develop in record time new functions to develop our image. For example, applicants had the opportunity to upload a short CV in the registration form, and to automatically export a short CV recorded the previous month. This tool helped us boost our development and promote our applicants with companies that are members of the Chamber, receiving from us every month a sample of our applications. In 6 months, 40 new prospect files have been generated and 12 new files opened: we could immediately have a return on investment. LMI MONACO rationalizes and organizes its recruitment management according to this process, through customizable application bricks of MyCVthèque. Moreover, we can easily process about 70 CVs per day on average, with picks of 90 CVs. In the past, 40 CVs only were considered overload. “Our assistants do have more time to focus on research, an activity with greater added value for the agency. Valérie Arsena, Commercial Director of MI. Mycvthèque a révolutionné notre approche du sourcing et notre gestion du recrutement. La traçabilité des CV nous permet de fiabiliser notre plan sourcing et de faire de meilleurs choix budgétaires. La gestion des CV est facilitée, avec un meilleur suivi sur une même plateforme, quel que soit le recruteur. à nos besoins et nos évolutions internes. Our job consists in providing our subscribers with some qualified employees suitable to their very specific needs. We often recruit in a hurry people belonging to more than thirty different job fields for about a hundred companies and we need a performing database that can easily deal with thousands of applicant files. MyCVthèque allows us to easily and independently manage job offers online, through our website, easily exchange by email and SMS with the applicants and track our actions during the recruiting process. MyCVthèque has been a partner for us from the beginning and has been assisting us for 5 years now. It’s a major tool of our daily activity that has never failed. Delville Executive is an executive search recruitment consulting firm, specialized in banking and finance. “…We have met the publishers of these solutions. We have chosen MyCVthèque as this solution met our criteria: it was accessible by Internet, robust, reliable, customizable, but, above all, information could be found easily. Accessible: it is so easy to remotely question the database, even directly from home…and when our offices are moved, there are constraints! Robust and reliable: we have never had any problems (unlike our Internet access provider). Customizable: we have turned all our paper forms in digital forms, to the very last comma, and developed the key competences our clients are looking for. Information can be found easily through keyword research, even if it is contained in CVs. MyCVthèque has generated specific reports about Delville Executive that provide us, with a click only, with an exhaustive view on our activity, or help us produce “progress reports” that we regularly send to our clients to keep them informed about the progression of the project: half-day of work is replaced by a click! The TEE networks have called on the services provided by PRESTADEV in 2004.It was about implementing a CV and job bank. This “CVThèque” has been evolving since its creation and currently includes over 5,000 CVs and 3,000 recruiters. Whether it is about creation or maintenance, we are satisfied about the job made by PRESTADEV and by their responsiveness in meeting our expectations.